The Mountain Centre offers group accommodation in cottage dormitory style rooms. Facilities include fully equipped kitchens, drying rooms, and a communal lounge with log burner. We are licensed to deliver a full range of activities including mountain walking, gorge scrambling and expeditions. Hampshire Outdoor Centres are proud to work in partnership with the Sir John Cass Foundation. The Foundation supports a wide range of educational establishments, special educational projects, grants and bursaries in and around the City of London. With their support the Hampshire & Cass Foundation Mountain Centre has enabled young people from London to experience the beautiful mountains and valleys of the Brecon Beacons. 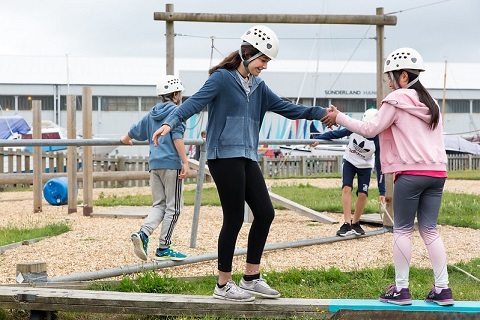 To read the story of how the partnership has progressed and developed since 2011 alongside all the wonderful outdoor learning opportunities that is has helped create view our most recent publication on this fantastic collaborative project.